New! Video, full description and extensive image gallery below. John Deere 430 from Green Ridge Restorations, LLC on Vimeo. Part of the 400 Series of lawn and garden tractors, the John Deere 430 was a heavyweight to be sure. 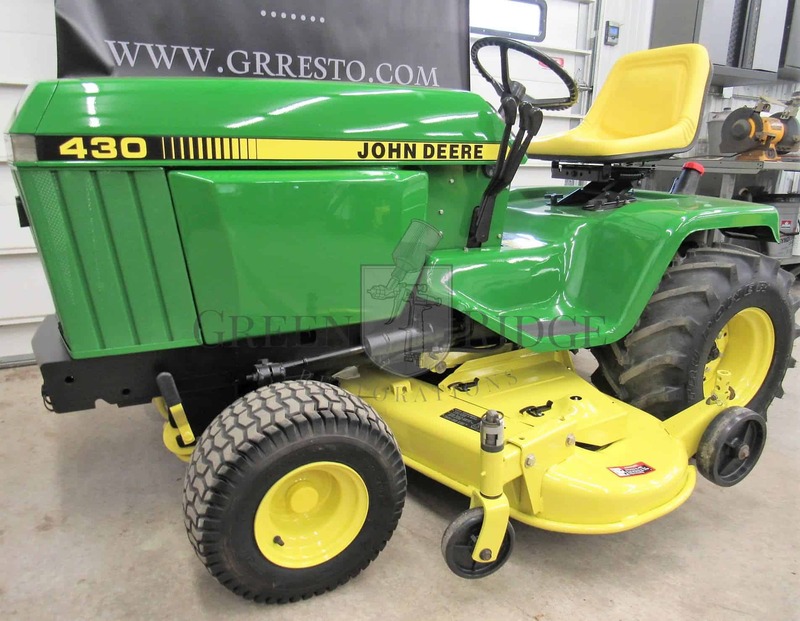 At nearly 1,200 pounds, the Deere 430 featured a Yanmar diesel engine and was available with a 50″ or 60″ mower deck. These quality American made machines weren’t cheap – some original owners have shared with us that the original sticker price they paid was upwards of $9,000 over 25 years ago! Want to know more about the John Deere 430? Click here.